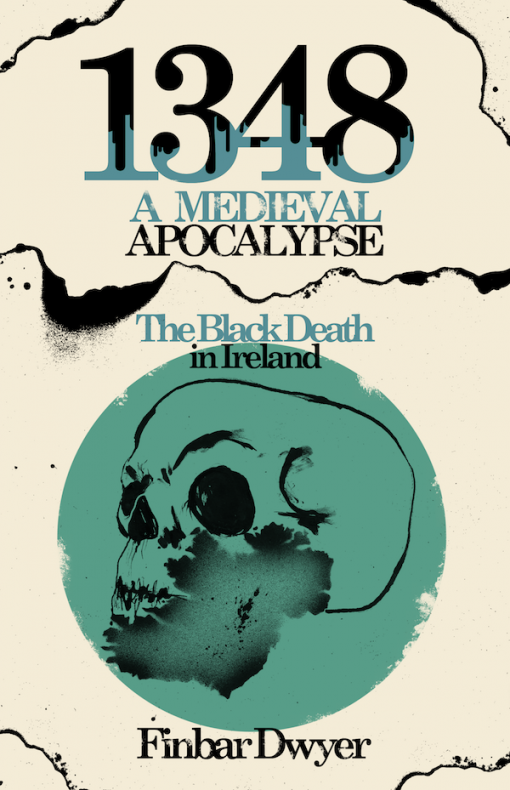 The launch of my new book 1348: A Medieval Apocalypse – The Black Death in Ireland is on this Thursday, May 19th in the Cobblestone Pub, Smithfield Dublin 7. The book will be available along with copies of my first book Witches, Spies & Syndrome, Life in Medieval Ireland. I will be speaking alongside Dr. Eve Campbell, one of the editors of the book. During the launch there will also be music from some of finest Dublin’s singers. It would be great to see you there! You can invite your friends on facebook here. If you live outside of Dublin you can get a copy of the book below. 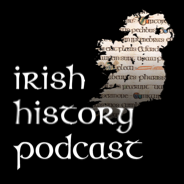 1348: A Medieval Apocalypse – The Black Death in Ireland. 1348 was one of the darkest years in European history. The most deadly of all diseases – the Black Death – swept across the continent reaching Ireland in the late summer. Within twelve months over one-third of the population had died. Towns and villages were abandoned. The havoc wrought by what was known as ‘The Great Mortality’ triggered sexual transformation, warfare, social upheaval and rebellion. Many believed they were facing the apocalypse long predicted in scripture. Unsurprisingly the medieval world was changed forever. 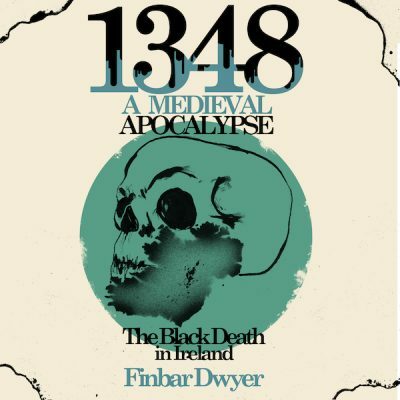 In ‘1348: A Medieval Apocalypse’, the historian Finbar Dwyer creates a vivid portrayal of this world by focusing on the lives of eight historical figures. From earls to outlaws, the eight lives evocatively recalled in the book take you on a journey through a chaotic and at times terrifying Ireland. The book begins long before the plague with the life of Richard Ledrede, the English-born Bishop of Ossory. Arriving in Ireland in 1317, Ledrede found the island in the grip of the worst war and famine since the Norman Invasion of 1170. While a Scots army burned towns and committed massacre after massacre, reports of famine-fueled cannibalism abounded. The following chapters reveal the turmoil that followed as society struggled to recover. Assassinations, revolt and the notorious Kilkenny witchcraft trial of 1324 rocked Ireland. Among the lives recalled by Dwyer in this period is that of the fascinating Gyle de Burgh. A daughter of the once powerful de Burgh family she had turned outlaw by the late the late 1330s. These chapters provide the perfect backdrop for the central focus of the book – the Black Death. 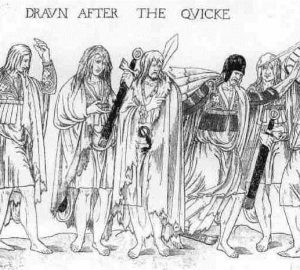 After the disease broke out in Dublin in the late summer of 1348 it spread across the island in the following year. The life of John Clyn, a Franciscan chronicler based in Kilkenny gives a unique insight into life in 1348. Clyn recorded both the unusual climate of anticipation that took hold prior to the plague’s arrival and then the horrors that unfolded after the outbreak. While over a third of the population perished, the survivors of these dark days faced a deeply uncertain future. Ireland had long been torn as apart by violence between the Anglo-Norman settlers and the Gaelic Irish natives but this spiraled out of control in the 1350s. Unspeakable acts of violence and barbarism became features of daily life. This was a world where fact proves stranger than fiction. ‘1348: A Medieval Apocalypse’ will immerse you in a captivating and at times terrifying world of our distant ancestors. Their struggle for survival in world that appeared to be falling apart is captivating. Never before or since has humanity faced annihilation on this scale. Whether a history enthusiast or just fascinated by a story of human survival, this book will enthrall and unnerve in equal measure. Dwyer’s engaging style weaves a gripping and unforgettable narrative from a forgotten chapter in our history. 1 review for 1348: A Medieval Apocalypse – The Black Death in Ireland.